Property 3: Large Family Home, walking distance to beach. Retro at the Beach, Available for New Years! Property 14: Retro at the Beach, Available for New Years! MOUNT MAUNGANUI BEACH BACH! BOOK YOUR LAST MINUTE FAMILY XMAS HOLIDAY! 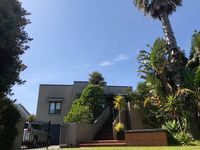 Property 22: MOUNT MAUNGANUI BEACH BACH! BOOK YOUR LAST MINUTE FAMILY XMAS HOLIDAY! We had an amazing few days at the Palms Villa. 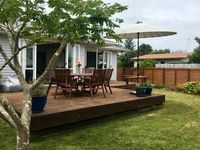 Conveniently located to downtown Mt Maunganui and the beach. The house is stylish and has everything you need. Good sized bedrooms with beautiful linen. We stayed with our 3 &amp; 1 year olds and the child gates and box of cars were very appreciated. Happily stay again.